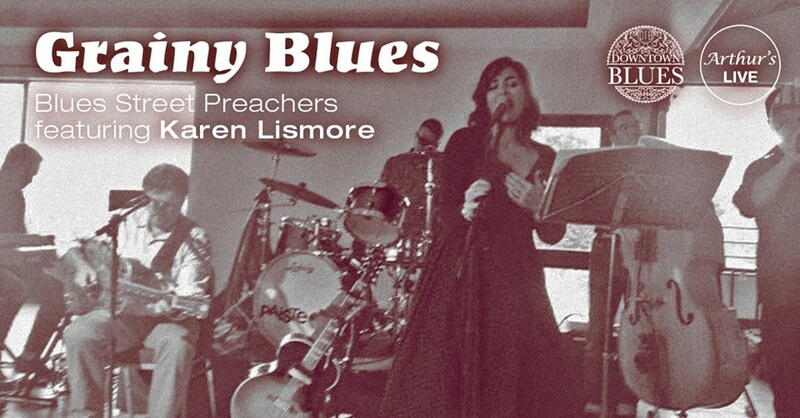 Blues Street Preachers feat Karen Lismore cover a wide and varied range of Blues styles. From down home Delta and Country Blues through to Gospel and on to the more Urban feel of Ragtime, Hokum with inflections of Jazz. They are fronted by Belfast woman Karen Lismore and this will be Karen's first time performing in Dublin since the late 90's when along with her sister Bronagh and performing as The Mullan Sisters they won The National Song Contest and went on to represent Ireland at Eurovision that year. This in turn led to performences at The National Concert Hall along with other acts and a 70 piece orchestra fronted by none other than Beatles producer Sir George Martin, at The Olympia Theatre with Gene Pitney and another with a young and up and coming Westlife! Then, having spent a few further years performing on her local music scene decided to take a long break. Thankfully she is now back singing through a new found passion for The Blues, finding that her voice fits effortlessly into this style. Her main influences include Bessie Smith, Memphis Minnie and Rosetta Howard. Playing along with Karen is roots/blues guitarist Mark Braidner. He performed along with his trio at the club last year as did pianist Simon Templeton who also features in this lineup. On Double bass is Bill Johnston and drums Michael Conway. Completing the line up is Gerry McClurg on trumpet.